2LP Black edition, Gatefold 45RPM, because sound matters! 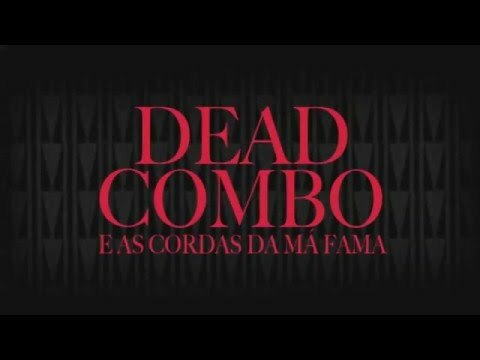 Dead Combo & As Cordas da Má Fama was recorded in the studio and results from the concert alignment of the Dead Combo performed at Ruinas do Carmo Convent in Lisbon, where they deconstructed and stripped the songs to an acoustic format. It's not a live album. It is an album recorded in a studio that results from the alignment of the concert that Dead Combo performed at Ruinas do Carmo Convent in Lisbon, on September 22, 2016. It´s called Dead Combo & As Cordas da Má Fama (the Strings of Bad Fame), and are re-recordings of the repertoire that we already know, with Tó Trips (acoustic guitar) and Pedro Gonçalves (double bass, acoustic guitar) to be accompanied by Carlos Tony Gomes (cello), Bruno Silva (Viola) and Denys Stetsenko (violin). The album was recorded in October at Namouche studios (Lisbon), with the production to be shared by Dead Combo and Hélder Nelson. The sold out concert at Ruinas do Carmo Convent was the culmination of a series of shows begun last year around As Cordas da Má Fama. In these shows the duo, assisted by three string musicians, deconstructed and stripped the songs to an acoustic format, thus giving a new garment to their already vast repertoire, challenging themselves in this way to tell the same sound stories, but in a different way. It is the result of this approach that now can also be heard on record.